The NES is 30 years old and to celebrate, the Shacknews staff is sharing some of their personal favorite NES games of all-time. Next up, it’s news editor Daniel Perez. The Nintendo Entertainment System celebrated a milestone anniversary on Sunday, marking three decades since its debut in North America. For many, this is where their love of video games emanated from. The 8-bit era of games is one that remains close to many people's hearts today, whether it's the jolly retro gamer or an independent game developer taking elements of their childhood and modernizing them for a new generation of gamer. This week, members of the Shacknews staff will be taking a look at a handful of our NES favorites, what made them so great, and why they still strike a chord with us to this day. There are very few sports games that have made as deep an impact as Nintendo’s Punch-Out!! series of boxing games. 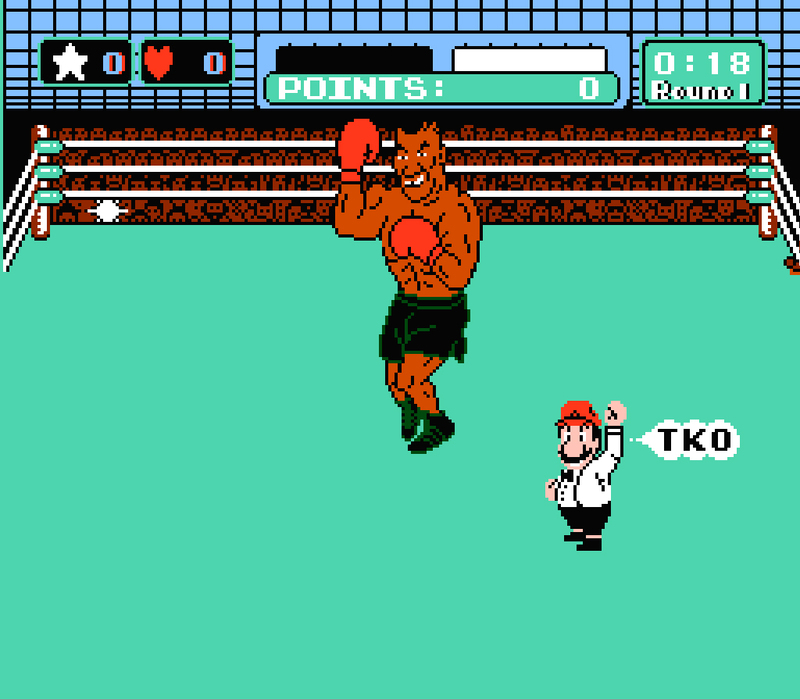 The first to makes its way to home consoles was Mike Tyson’s Punch-Out! !, which released a few years after the release of the NES. Mike Tyson’s Punch-Out!! included a number of memorable fighters, like the easily-defeated Glass Joe, the belly-bruised King Hippo, and the romantic Don Flamenco. The difficulty of each fighter would gradually increase in a way that would allow players to feel challenged, but defeating them wasn’t impossible. Many of these fighters would have a tell during the bout that would allow Little Mac, the game’s protagonist, to take advantage of the fight. Some of my favorites includes Super Macho Man’s slight shimmy when he’s about to unleash a devastating punch, Mike Tyson’s wink prior to throwing a punch, and King Hippo’s mouth opening prior to punching. Little Mac would also be able to time his uppercut in a way that would completely knock out his opponent, but knowing when to do it would take a lot of research and work. The Punch-Out!! series continued onto the Super NES and the Wii and continues to be one of my favorite sports games series ever. I can always play Bad News Baseball. Just hearing the opening music gets me pumped for a weekend afternoon playing the game with my brothers in a way no other game does. 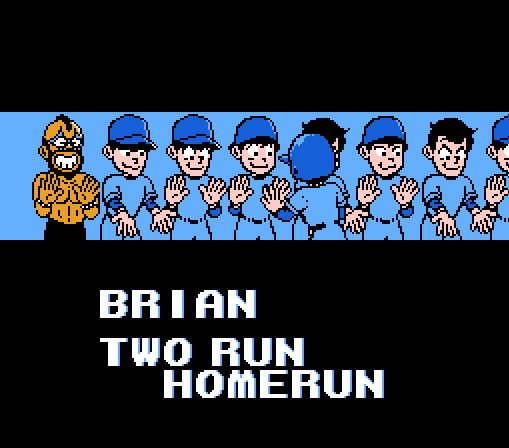 Bad News Baseball was released by Tecmo back in 1989 and was one of the first baseball games I can recall that had cut scenes when an important play would occur. If a player is close to throwing a runner out, the game would display a cutscene showing the throw, the slide, and then the catch that would have me guessing the outcome each time it occurred. There were additional cutscenes for home runs that would have players celebrating while they ran the bases, teammates celebrating, and depending on hard you hit the ball, a baseball that would be zooming into space. Bad News Baseball didn’t exactly set the world of baseball simulators on fire as it didn’t have a season mode or anything else outside of a single- or multi-player experience, but it’s still a game that I’ve always enjoyed playing because it was just fun. 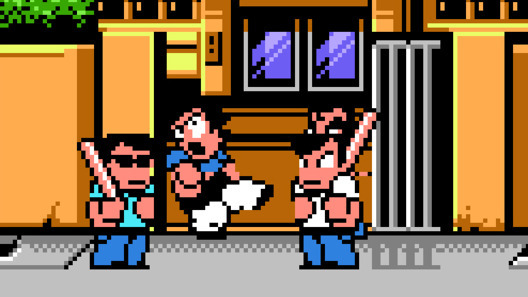 Sure - Double Dragon was one of the first side-scrolling beat-em-ups to be released on the NES, but River City Ransom was by far my favorite. The plot of River City Ransom was similar to Double Dragon. High school students Alex and Ryan are tasked with fighting their way through River City High in order to rescue Cyndi, Ryan’s girlfriend, from Stick. As they fight their way across the game, they’ll fight various gangs of students like The Jocks, The Squids, or The Generic Dudes. Both Alex and Ryan would earn money from each student they defeated, which would allow them to purchase food and new abilities that would improve their attacks. Some upgrades includes Stone Hands, Dragon Feet, and Grand Slam, which would replace the standard punch, kick, and weapon attacks with three rapid-fire attacks. My favorite ability was Acro Circus as it allowed the character to deliver more acrobatic attacks. River City Ransom was one of the few side-scrolling beat-em-ups that allowed you to beat up on your friend. In two-player mode, you could beat up your partner if you like, although that could result in some real-life punching if you kill them as a result. But if you can get along with your partner, River City Ransom offers a great side-scrolling experience that I’ll always want to play. In case you couldn’t tell from my Dragon Quest Heroes review, I’m a big fan of the series since back when it was called Dragon Warrior. Dragon Warrior is a pretty straightforward story of a hero rescuing a princess, slaying the dragonking, and retrieving the orb of light. Along the way, I fought a number of enemies that are now synonymous with the Dragon Quest series, like various Slimes, Ghosts, and Drakee. The game required more interaction from players as you weren’t just able to walk over a staircase to move onto the next floor. Instead, you had to pull up the game’s menu and tell it to enter the staircase. Yea - it wasn’t as intuitive as I would have liked, but I was alright with it back in the late 1980s. 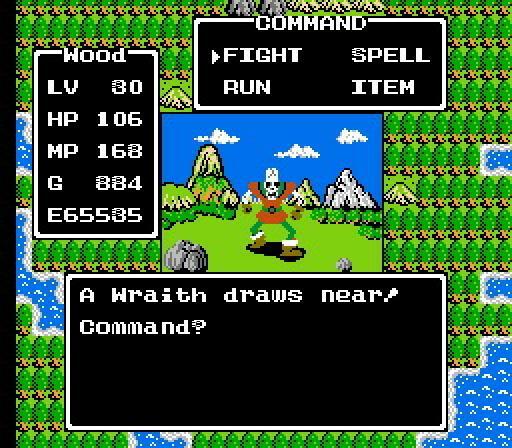 The sights and sounds from Dragon Warrior are what left the longest impression on me. Seeing the game’s menu turn from white, to orange, to red to alert me of my depleting health and hearing the many audio cues and music were some of my favorite moments from the original game. I mean, how can you not be put in a good mood just from listening to the opening music from Dragon Warrior? My family purchased its first PC in the mid 1990s, which means I wasn’t well versed in most computer games until then. Maniac Mansion was my first PC-game experience prior to even knowing the joys of PC gaming as it gave me the freedom to explore a diverse story filled with unique characters. Maniac Mansion takes place in the mansion of the Edison family who have been brainwashed to obtain human brains for various experiments. Dave Miller and his friends enter the mansion in order to save his girlfriend, Sandy Pantz, who has been kidnapped by Dr. Fred, although all of the inhabitants are extremely hostile. Getting spotted by them will either get them thrown into a dungeon, or sometimes, even killed. Maniac Mansion has some superb writing, puzzles, and unique moments that I’ll always remember. 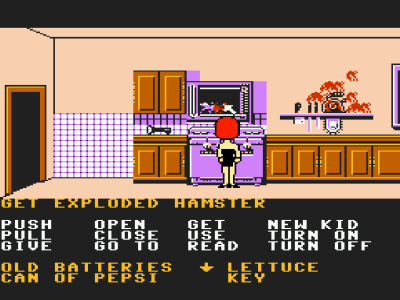 Whenever I think of microwaving hamsters and human-sized tentacles, I’ll always think of Maniac Mansion. While the NES version didn’t have as an intuitive UI as the PC version, it was still a great introduction to point-and-click adventure games that I still think fondly of to this day. I like Blaster Master , Jackal, Contra, Rampart. Your list is good too, especially punch-out, great mechanic and game flow. Obviously the consensus picks Megaman, SMB3, Metroid and stuff everyone knows about dont need to be re-written up. I think I've played more hours of Super Dodgeball than any other console games. I hope it gets a shout out. Ooooo - Super Dodgeball was so good! These lists are a bit different from a "Best NES games list." These are our own personal favorite games, so there really shouldn't be any wrong submissions. For my list, I thought of games that I could play on a Sunday afternoon and be completely happy with my time. These are all games I can sink hours into every couple of years and not feel bored at all.